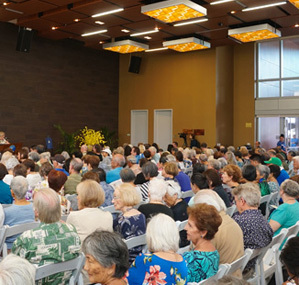 Dr. Acoba is an Assistant Professor at the University of Hawaiʻi Cancer Center and provides support in both clinical and translational research with a focus on gastrointestinal cancers. 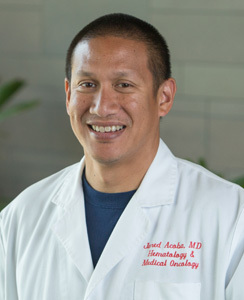 His efforts have been in developing clinical trial protocols and participating in oncology cooperative groups as a member of the NCI Community Oncology Research Program Minority/Underserved Community Site, and providing cancer care to residents of Hawaiʻi. Kampa KM, Acoba JD, Chen D, et al. Apoptosis Stimulating Protein of p53 (ASPP2) heterozygous mice are tumor prone and have attenuated cellular damage-response thresholds. PNAS, 2009; 106:4390-4395. Acoba JD. Individualizing colon cancer treatment: the role of prognostic and predictive factors. Hawaiʻi Med J. 2008; 11:304-306. Kaneshiro B, Acoba JD, Holzman J, et al. Effect of delivery route on the natural history of cervical dysphagia. Am J Obstet Gynecol, 2005; 192(5): 1452-1454. Acoba J, Sumida K. 28 year old male presenting with thrombophilia and hypercalcemia. Hawaiʻi Med J. 2002; 61-254-256, 258.